Living room "Franek" from the furniture factory "Mizan". Convenient and functional set for the living room in your home or office. Looks nice and presentable. The wall is made in a modern style. 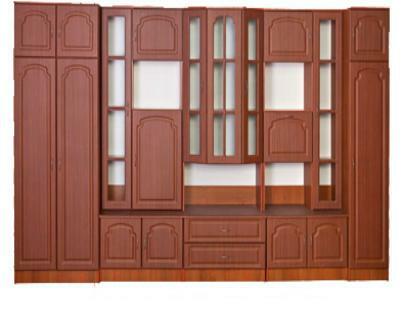 For the manufacture of furniture body uses environmentally friendly material chipboard 16 mm. The facade is made of film MDF, the colors of the films are very different.